Would you like to become a Certified Indoor Environmentalist (CIE)? This designation demonstrates that you understand how to create healthy homes and buildings by preventing, diagnosing, and resolving indoor environmental problems. This online program prepares you to pass the CIE examination through a series of video lectures on exam topics such as contaminants, health effects, building science, HVAC, equipment, assessments, mold remediation, and industry standards and guidelines. The course also covers practice questions in detail and provides a practice examination to ensure you succeed at becoming a Certified Indoor Environmentalist. Your clients want to be confident that they are hiring a trustworthy and competent consultant. One of the best ways to demonstrate your competency is to obtain a third-party accredited certification, such as the Certified Indoor Environmentalist (CIE). The CIE certification is sponsored by the American Council for Accredited Certification (ACAC). The CIE Prep Course will prepare you to pass the CIE examination. The examination is offered at computerized testing centers throughout the US and beyond. Certain experience requirements and fees apply to students obtaining certification; however, no experience is required to participate in the CIE Prep course. This program is compatible with the Windows XP and later operating systems and IE 7 and later browsers. The program is also viewable on iPad tablets and other iOS devices. All material is available online. You will receive a PDF workbook to help guide you through the videos. A high-speed internet connection is highly recommended. There are no prerequisites to taking the CIE Program. There are, however, experience requirements for those students wishing to take the optional certification exam by the American Council for Accredited Certification (ACAC). ACAC requires a high school diploma or GED, along with two years of documented field experience related to indoor air quality. Questions regarding certification should be directed to ACAC. Those with a background in HVAC, home inspection, construction, or healthcare may more easily comprehend certain sections of the program; however, the course material does not assume the learner has already received training and therefore topics are explained thoroughly. Ian Cull, PE, CIEC, CIAQP is the President of Indoor Sciences. He is a well-known speaker and consultant on topics related to indoor air quality, mold, and green buildings. Mr. Cull began in the fields of indoor air quality (IAQ) and building science in 1995 when joining Chelsea Group, Ltd. Through the years, Mr. Cull has developed and taught numerous seminars, certification courses, and customized presentations reaching over 2,000 individuals in the US and several other countries including China and India. Mr. Cull has been the principal instructor for the following courses: Certified Indoor Environmentalist (CIE), Fundamentals of Indoor Air Quality and HVAC, Certified IAQ Manager (CIAQM), and Certified Microbial Investigator (CMI). His in-depth knowledge in all aspects of building science, IAQ, and sustainability make him a highly respected and commended teacher. Mr. Cull is a professional environmental engineer whose skill in the classroom is based off his vast experience managing a large number of projects focusing on improved indoor environments and sustainability. His experience ranges from assessments in offices, schools, homes, dormitories, condominiums, hospitals, and health care facilities. Mr. Cull is not only proficient in finding problems, but offering appropriate solutions and recommendations to prevent future re-occurrences. Mr. Cull served as Vice President of the Indoor Air Quality Association (IAQA) from 2008-2011. He was elected by the membership of the IAQA to serve as a Director from 2006-2011. Mr. Cull also served as a non-voting board member of the Indoor Environmental Standards Organization (IESO) from 2007-2010. Ian Cull has a Bachelor’s of Science degree in Engineering from one of the country’s top Environmental Engineering programs at University of Illinois, Champaign-Urbana. 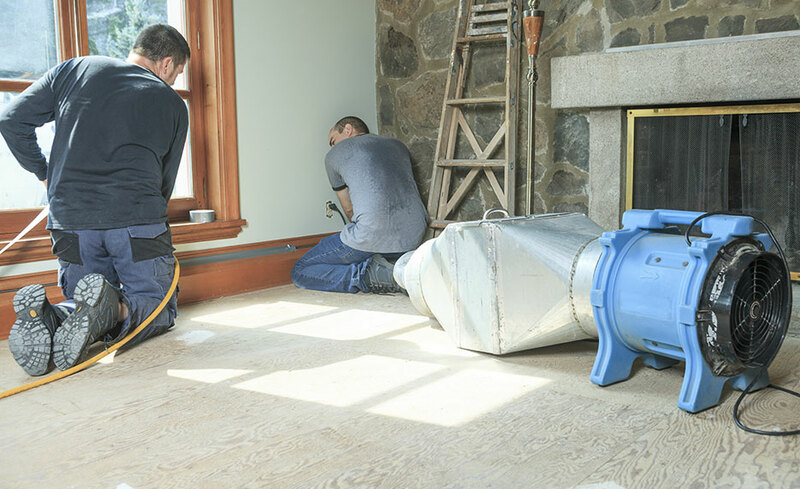 He is a Licensed Professional Engineer (PE) in the state of Illinois, a Certified Indoor Environmental Consultant (CIEC), and a Certified Indoor Air Quality Professional (CIAQP). Ian Cull is a member of the Indoor Air Quality Association (IAQA), American Society of Heating, Refrigerating, and Air-Conditioning Engineers (ASHRAE), the American Industrial Hygiene Association (AIHA), and the International Society of Indoor Air Quality and Climate (ISIAQ). All of our programs are self-paced and open enrollment, which means you can start and finish the program at your own pace. Upon registering, you're given an initial six months to complete this program. In order to take our online programs, you must have access to a computer and the Internet. You can access the program contents from any Web-enabled computer. You don't have to use the same computer to log-in to the program every time. We recommend that you have a the latest version of Internet Explorer. 12. Does taking this program make me certified? No. Students wishing to become a Certified Indoor Environmentalist (CIE) must meet certain eligibility requirements and pass an examination offered by the American Council for Accredited Certification (ACAC). Additional fees apply. 13. How is this program different from the Certified Indoor Air Quality Manager (CIAQM)? The CIE program is designed for consultants who may respond to specific, complex indoor air problems, without having to manage long-term relationships with the building occupants. The CIAQM Program is designed for individuals working each day in the same facility in service or management to its occupants. 14. This program prepares students for the CIE and CIEC certifications. What is the difference between those? The American Council for Accredited Certification (ACAC) has two levels of certification, each based on the student's experience. The Certified Indoor Environmentalist (CIE) requires two years of field experience conducting indoor air quality investigations. The Certified Indoor Environmental Consultant (CIEC) requires eight years of experience on a broad range of indoor air quality topics. Post-secondary degrees in science and engineering may reduce the required experience requirements. For a more detailed explanation of the experience needed to become certified, please contact ACAC. As a reminder, there are no experience requirements to take this online program; these requirements only pertain to those who wish to obtain the optional certification. The material was presented in a manner easy to absorb. Each module was the perfect length.